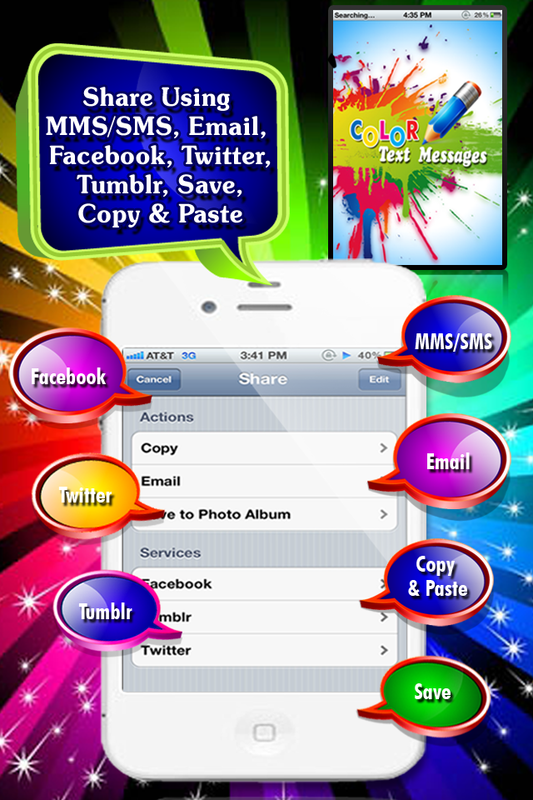 Tired of conventional SMS/text messages on cell phones? 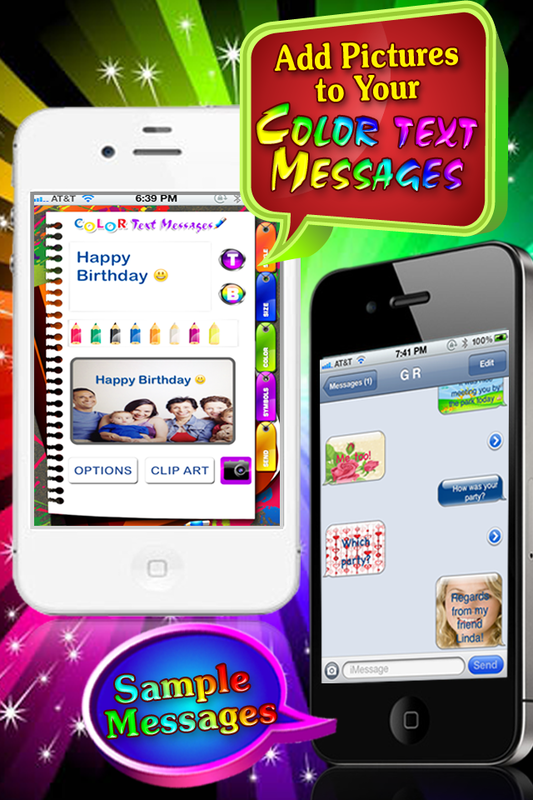 Send colorful messages to: Cell phones/MMS, iPhones, iPads, iPod Touches, Email, Facebook, Twitter, Tumblr, Save, Copy & Paste. 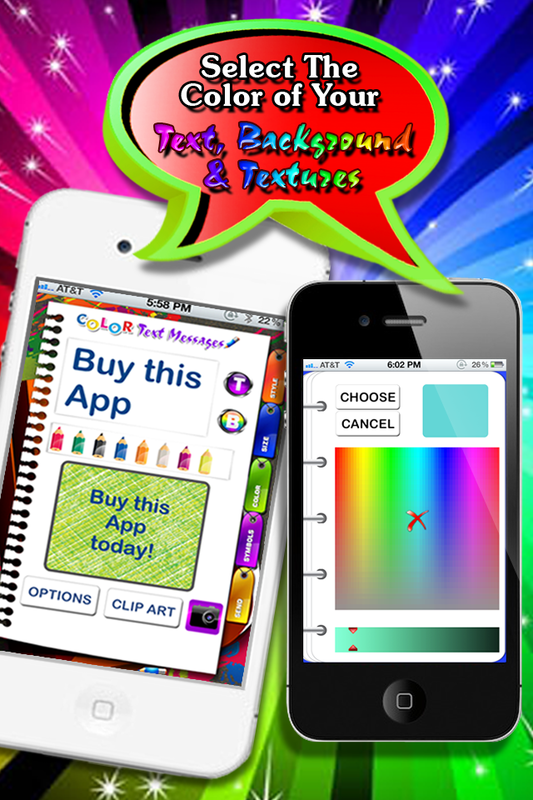 * You can select hundreds of color combinations for the text and background. 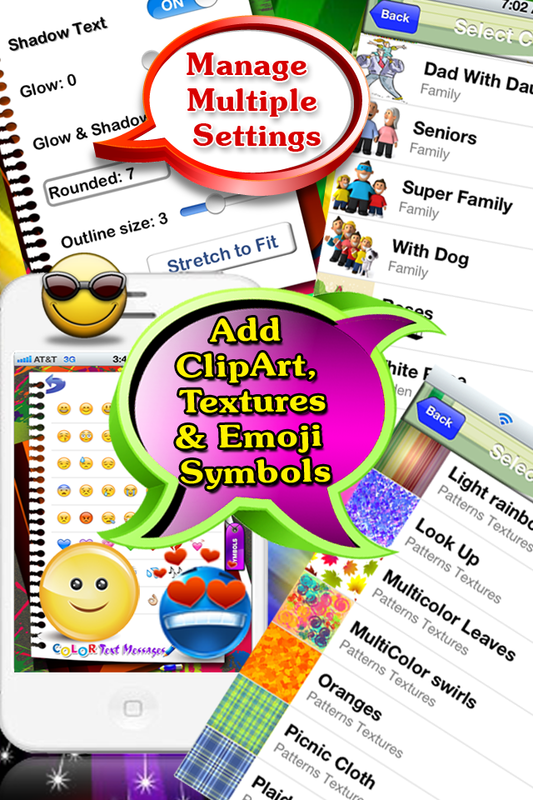 📱📲 Especially designed for iPhone, iPhone 5, iPad and iPod touch (including 5th generation). 💰 In-App purchase option available to unlock new features and remove banners. NOTE: Once the text message is created, just 'paste it' on the messaging section.